“Gravina in Murgia” was created to revive and promote the development of tourism in the city, with the support of the municipal administration and the Church. 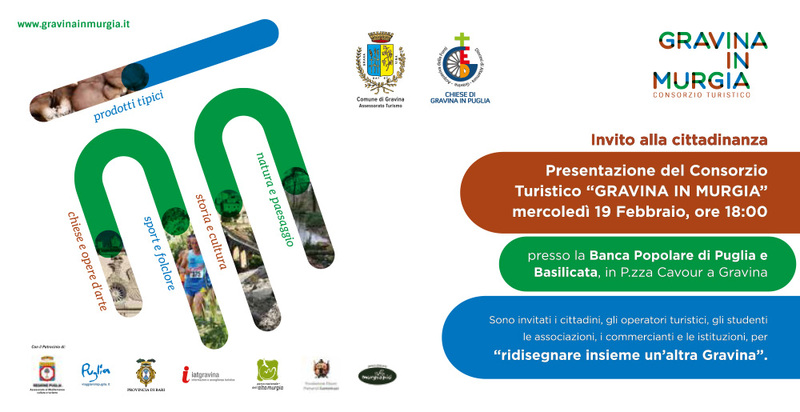 All citizens are invited, the Tour Operators, and Students Associations, dealers and institutions, to “redesign with another Gravina”. 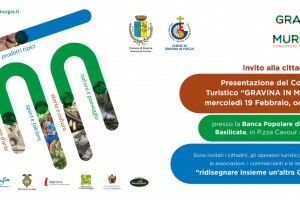 Visit us at Banca Popolare di Puglia and Basilicata, in Piazza Cavour 18.00.